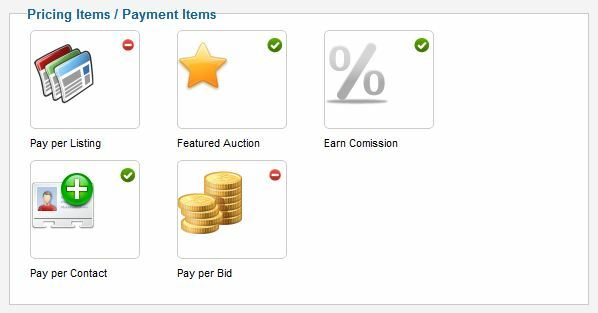 There are two "payment types" used in the auctioning platform, one is between the Bidder and the Auctioneer, which is not handled by the extension. Reverse Auction only provides the users with means to contact each other and even a PayPal link which passes the payment details onto the payment processor, if the users both provide valid PayPal emails in their profile. The other payment type is between users and the website. These are Payment Item related payments. 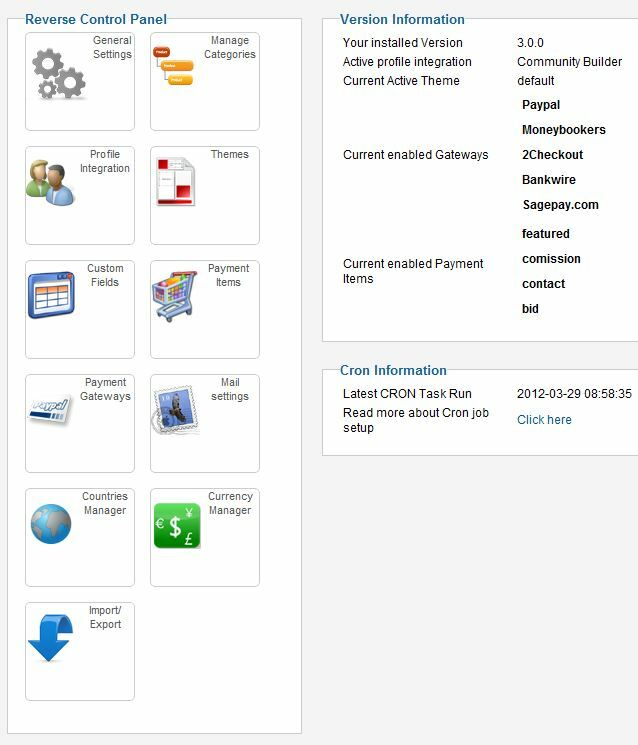 The Payment Items can be found in the administrator Reverse Control Panel. 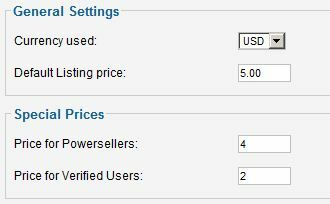 The listing item charges users after saving an auction, the respective auction will remain unpublished until the order and payment are confirmed. 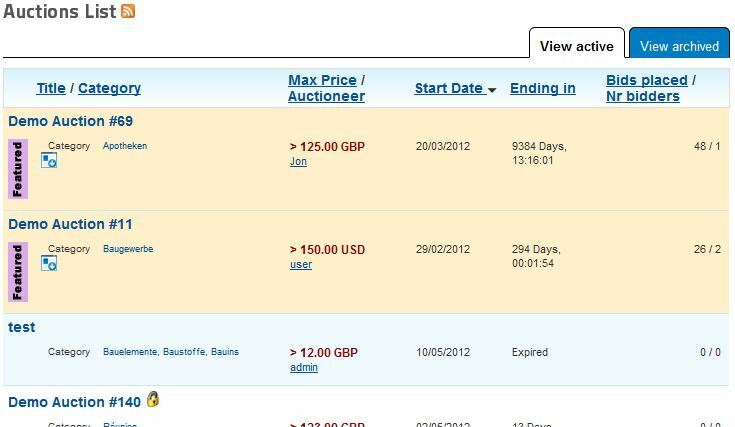 After order confirmation, the system published the auction automatically. 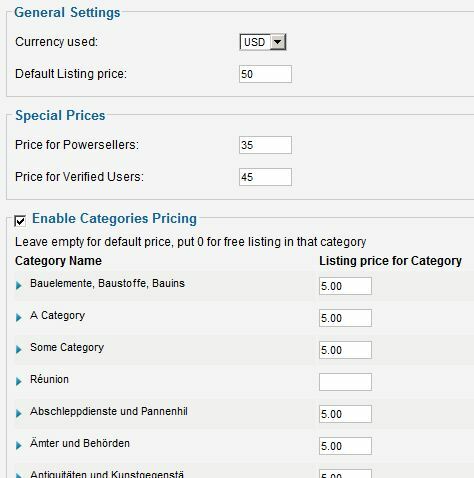 Preferential prices based on user rank or category can also be set. From the admin, the price can be set and also preferential prices for Verified and Powerseller users. The Featured Item has the same admin settings as the Contact item. 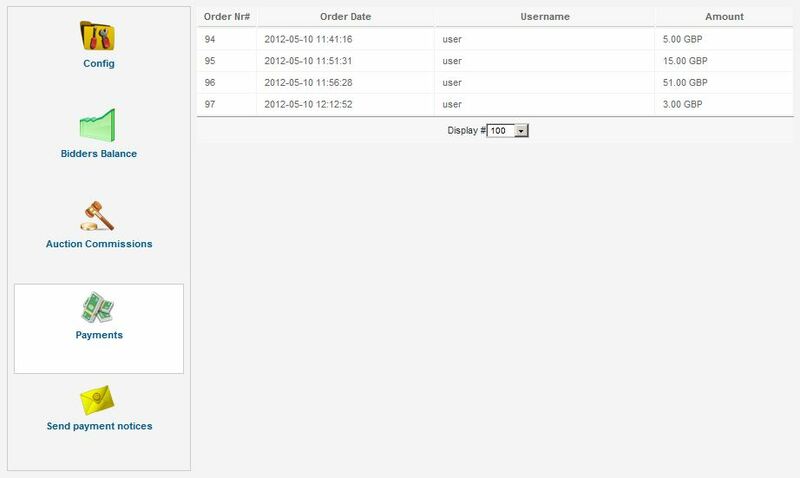 On the frontend, the featured item lists auctions on top of lists and with different, more visible templating; regardless of sorting. Amongst Featured Auctions, the regular sorting applies. When an auction is closed with a winner, the auctioneer is charged a Commission based on the winning bid. 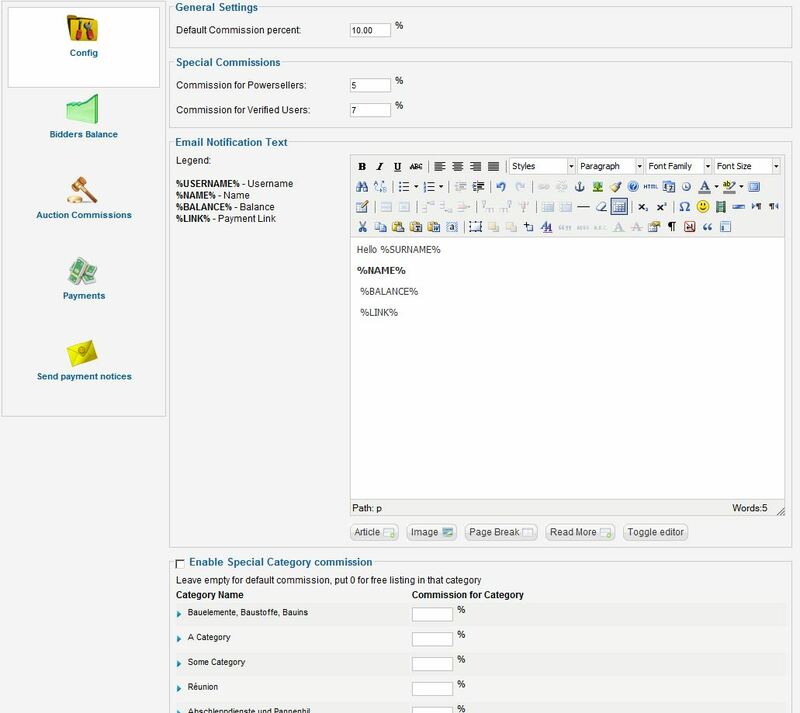 The user is directed to the checkout page to pay the commission after when he accepts the bid. 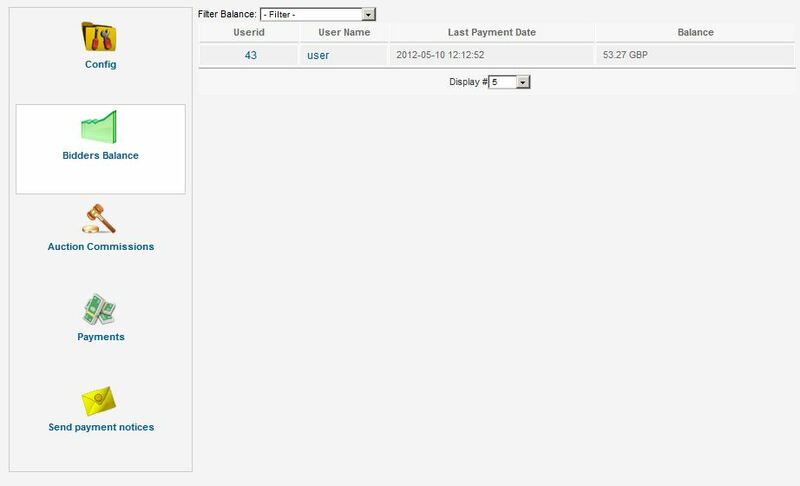 Later on, the user can pay the exact amount or add extra balance to his account, from the profile. The admin has the possibility to charge different commission for Powersellers and Verified users, and also different commissions on categories. In the Config area, the email message sent to users when they have a commission due, can be customized with a WYSIWYG editor. 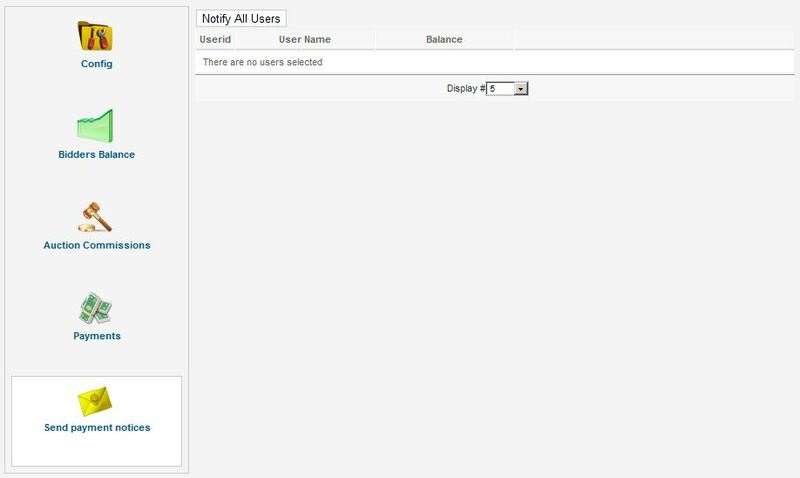 A list with all the users balance can also be seen, each with a link to their Reverse Auction Profile in the backend. 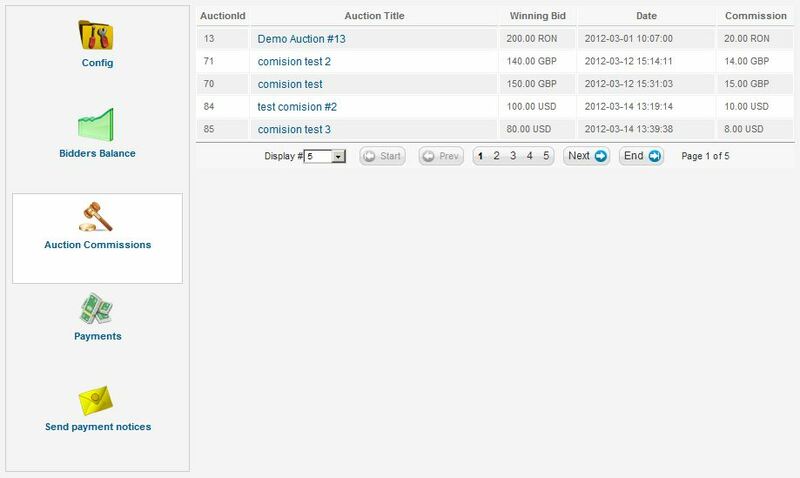 In the Auction Commissions section you can see all the auctions for which the commission item was enabled. in the payments list, you can see all commission related payments made. In the notices sections you can send notifications to users with negative balance. 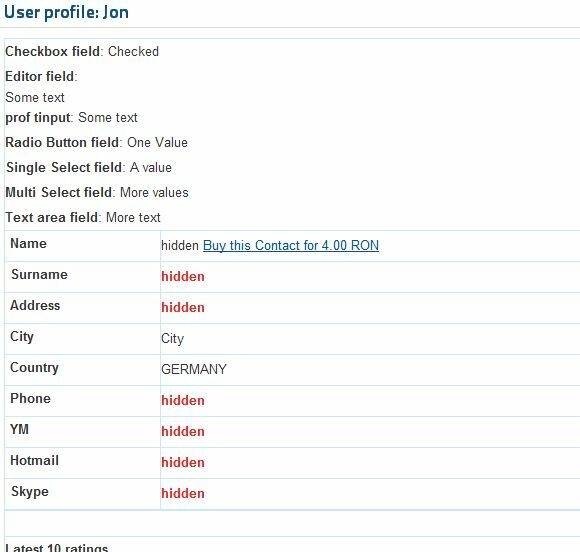 The bidding item has the same settings as with the Contact or Features Items. 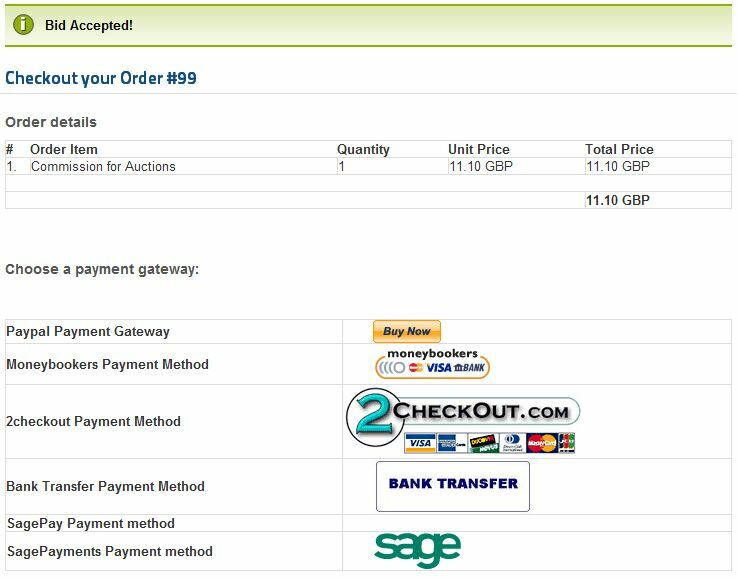 When users place a bid, they are sent to the checkout page to pay for that bid before it is placed by the system. If the user has balance in their account, the bidding is done instantly and the account is charged.